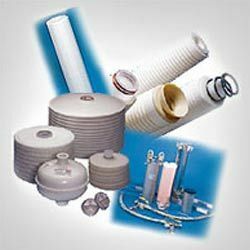 We are a leading OEM Manufacturer of nb filter bag, pretreatment filtration baskets, industrial filter housings, filtration pads and module, high flow filter and aqua pure water filter series from Surat, India. 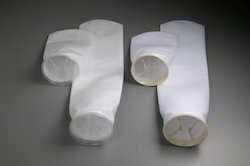 Bag filters providing cost effective solutions for applications where bag filtration for water and fluids is appropriate. We are offering Pretreatment Filtration Baskets that are developed from high grade carbon steel and stainless steel. Our product is widely applicable in purification of Gas and liquid. It has lining for excellent filtration up to 5 microns and has standard welded handles. These basket filters we are offering are highly efficient and reliable for filtering and straining applications in different mediums such as liquids and gases to remove solid particles. Basket filters are the low cost answer to a variety of liquid clarification needs. Our basket type filter is equipped with filter housing, positive sealing arrangement to stop leakage and filter element supported with perforated cage. We are one of the prominent manufacturer and exporter of a comprehensive range of Industrial Filter Housings that is widely used in processing and manufacturing industries for filtration and separation of solutions. Our products have proven effective across the market for the process of water clarification to fine ink pigment classification, or removal of contaminating solids from natural gas. These are available in different sizes & designed, and can be customized as per the specifications detail by the clients. Our clients can avail from us, a wide range of Filtration Pads & Modules that is manufactured using premium quality raw material with specific porosity and high retention capacity. Our pads are available in various micron rates & sizes, and can be customized as per the specifications detailed by the clients. These pads are totally chemical free and hence are used in extensive applications in various industries like pharmaceutical, food & beverage, distilleries and chemical. 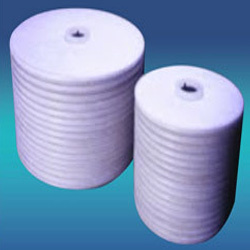 We are offering our clients with a wide range of High Flow Filter that has high flow rates. Our range works for viscous oils upto 25-30 CST, and is appreciated by the clients due to its suitability for oil and water based emulsified coolants that result in a versatile filter for wide variety of applications. 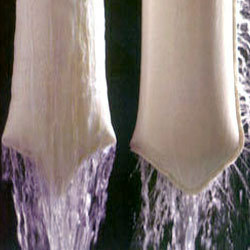 In this, the back flushing cycle tales 30–90 sec, depending upon the vessel volume & the number of paper disc candles. 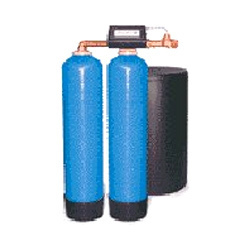 We are instrumental in offering our clients with a wide assortment of AquaPure Water Filter Series that is used for purifying water in various industries, offices, factories, commercial complexes and homes. 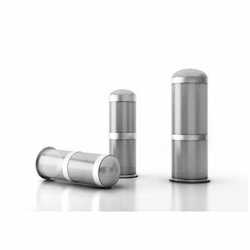 Our range is designed and manufacturing in accordance with international quality standards & norms, using quality components and spares to ensure durability. Moreover, these can also be customized as per the specifications detailed by our clients to meet their exact needs. 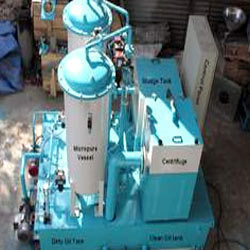 Looking for Filtration & Separation System ?